College Hall at Washington University in St. Louis is destined to become a prime gathering space and is designed to build upon the spirit, culture, and community of each residential college. The team who brought SSM’s “hospital of the future” to fruition is recognized with a 2011 Vista Award, sponsored by the American Society for Healthcare Engineering. Working with Habitat for Humanity has been a great opportunity for Mackey Mitchell to give back to the community by lending our expertise in BIM (Building Information Modeling) software to help construct affordable housing in the Old North St. Louis neighborhood. An 11-story student housing tower is taking shape at the University of Pittsburgh, PA’s main campus. Mackey Mitchell opens new office near Asheville, North Carolina. 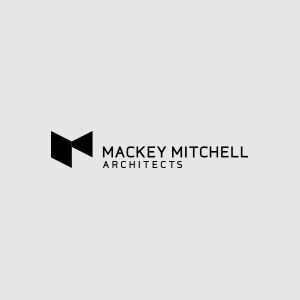 Mackey Mitchell makes the cut in Architect Magazine’s list of top 100 firms in the country. Architect Gene Mackey will present a talk on Louis Sullivan followed by a special tour of Sullivan’s Wainwright Tomb in Bellefontaine Cemetery. Tickets may be purchased through the St. Louis Beacon. Architect Marcus Adrian attends conference on Autism where Dr. Temple Grandin reaffirms his design philosophy on architecture for autism. MMA.edu is an internally developed best practices program designed to enhance Mackey Mitchell’s continued goal of life-long learning.